Medicaid recipients in long-term care in N.C. receive $50 in personal spending money a month in nursing homes and $66 in assisted living, a sum that’s remained the same for years. 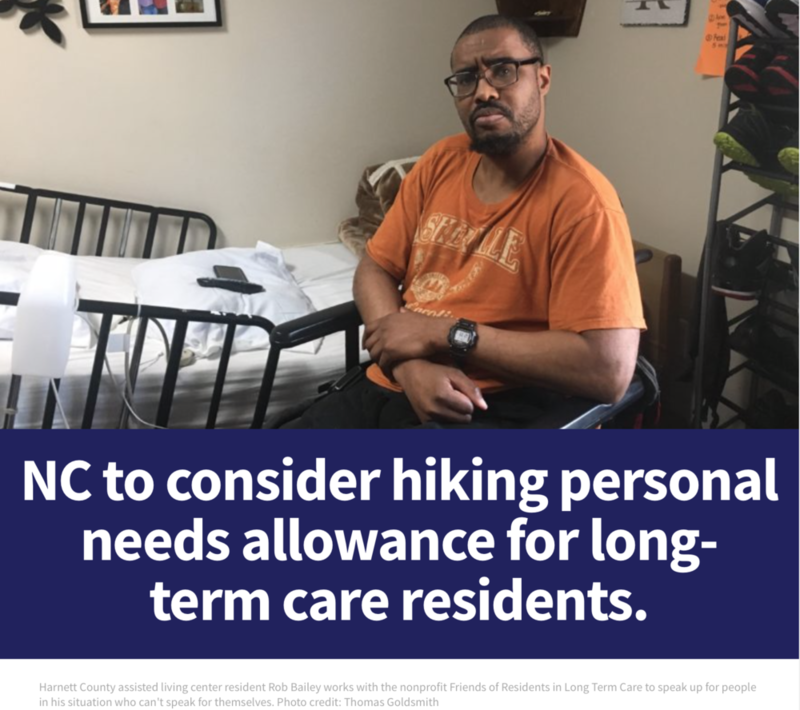 A proposal to increase the amount of money available to North Carolina’s long-term care residents raises a compelling question: How much does a person need to live on, once room, board and medical care are provided? “OK, do I pay for medicine? Or do I pay my phone bill?,” said Michael Rubins, 30, a resident of Oak Hill Assisted Living Community in Harnett County. “Or how am I going to get toiletries next month? Newer PostNews & Observer: $66 a month for medicine and clothes. Adult care home residents say that's not enough.